Square Enix has released a new trailer for I Am Setsuna today – focusing for the first time on gameplay in the English version of the Tokyo RPG Factory-developed game in preparation for E3 2016. Fans of Chrono Trigger can check out the familiar battle system as well as the art, music and story in this classic RPG re-imagined for the modern era. 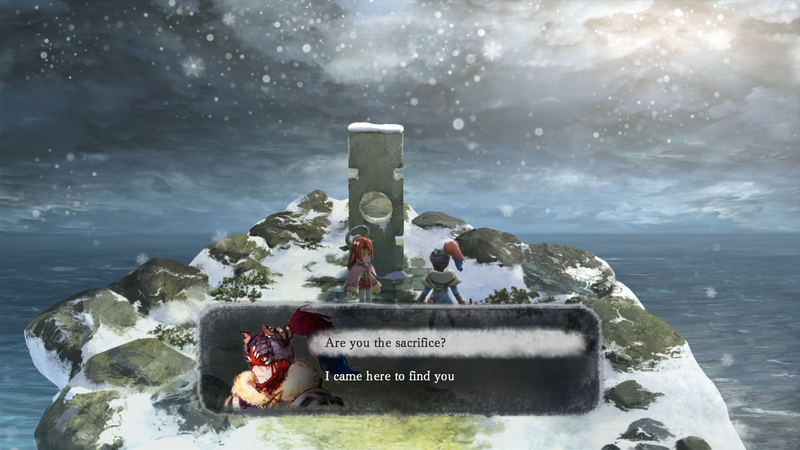 I Am Setsuna follows the story of Setsuna – a young woman of incredible inner strength, and the sacrifice she must undertake to the save the people of her land. The game will be available for both PlayStation 4 and Steam starting on July 19th in North America for $39.99. Those who pre-order on Steam are eligible to receive a special music track from composer Tomoki Miyoshi. Posted in E3 2016, I Am Setsuna. They always seems to show same moves. What other attacks do they have? The music is so beautiful in this game. Will it have lots of battle themes?